We are delighted to bring you the movie Wide Boyz thanks to director Paul Diffley at Hot Aches Productions. In partnership with Paul, this movie night will fundraise for the Climbers Against Cancer charity. 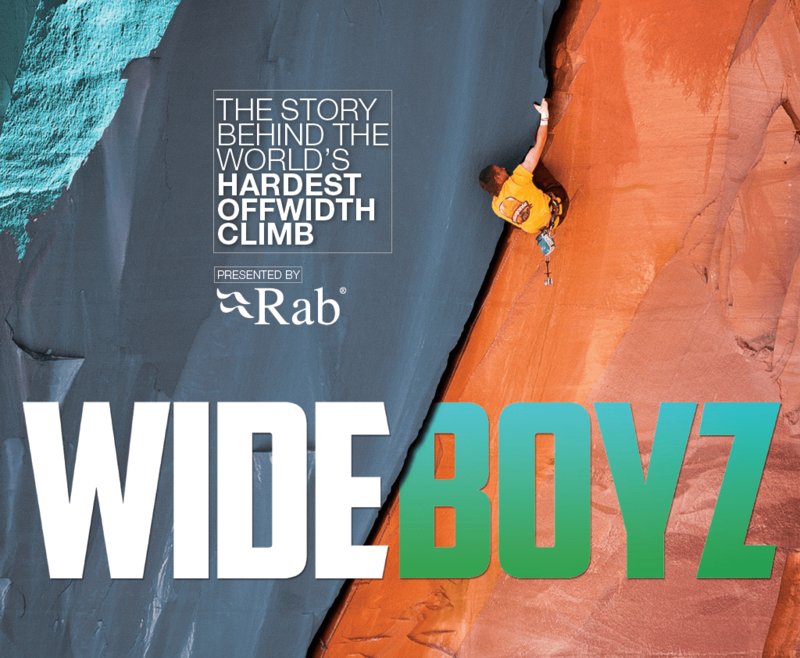 The film Wide Boyz tells the story of two loveable climbers from England, Pete Whittaker and Tom Randall. Their training and eventual tour culminates in the first ascent of the ultimate off width test piece, Century Crack (USA), the world’s hardest offwidth. The movie includes a crack climbing tutorial for those keen to embrace the dark art. The movie is a great start to the VCC Crackers series. The VCC has brought you a crack climbing series where you can learn to crack climb, fine tune your skills or jam like a pro and share some tips with others.